Ever since we saw Luke Skywalker at the very end of Star Wars: The Force Awakens in 2015, fans have been begging the powers that be at Hasbro and Lucasfilm to make a new Luke action figure. Now with Star Wars: The Last Jedi coming to theaters in a matter of months, which will feature Luke in a much more substantial role, it appears we're now ready for a proper figure. Today on social media a new image has been circulating that has caused a lot of buzz among collectors. 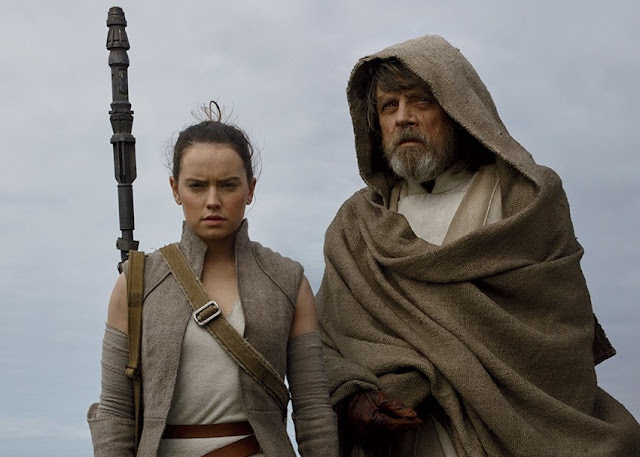 The image shows two Hasbro The Black Series action figures, the first being Luke Skywalker in his costume from The Force Awakens, and the second is Rey in her costume from The Last Jedi that was recently teased in a behind the scenes reel. Rumor has it that both of these figures will be offered as a two-pack later this week at San Diego Comic Con. Yakface reports that those not attending SDCC will be able to buy the figures separately on "Force Friday II", happening September 1st. Unfortunately none of the images or information have been officially confirmed as of writing this, so all of this should be taken with a grain of salt until officially confirmed by Lucasfilm or Hasbro.